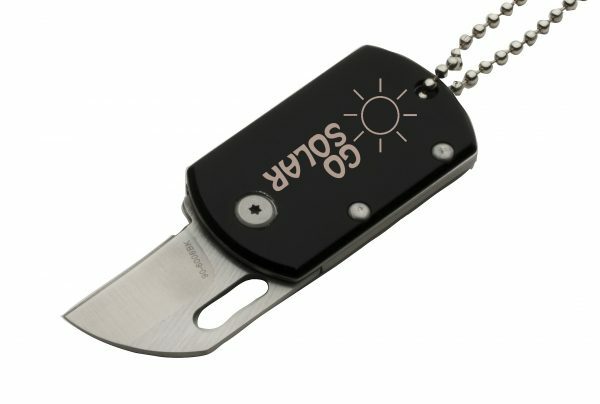 Dog Tag Shaped Black folding knife with beaded neck chain. 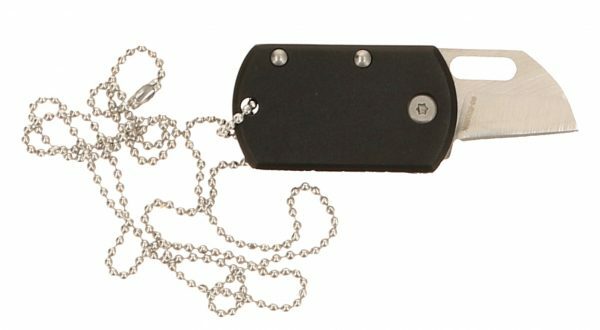 Never be without a knife again with this uniquely designed knife that is disguised as a dog tag! 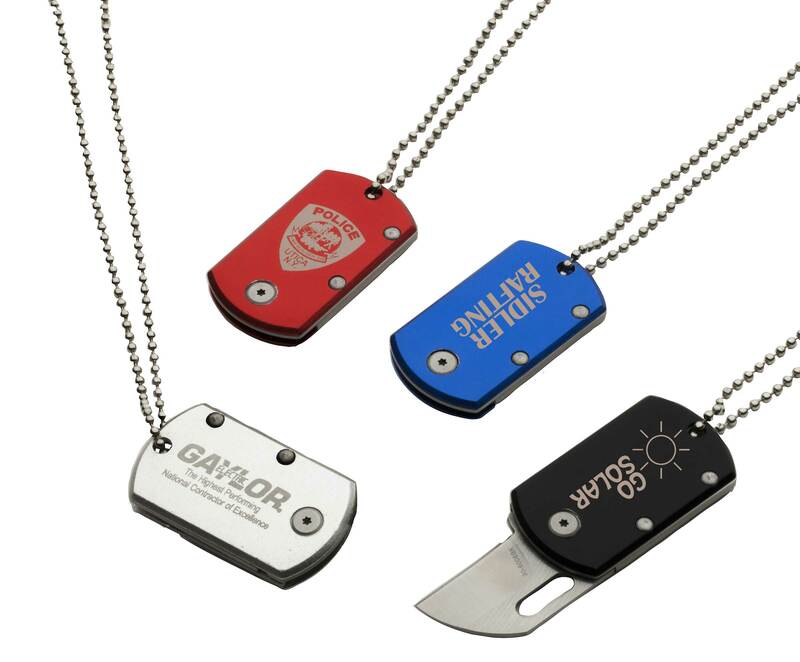 The high carbon stainless steel blade is 1-3/16″ long and is housed in a realistic looking dog tag that is made from aluminum. Carve and server knife with black plastic handle and stainless steel blade. 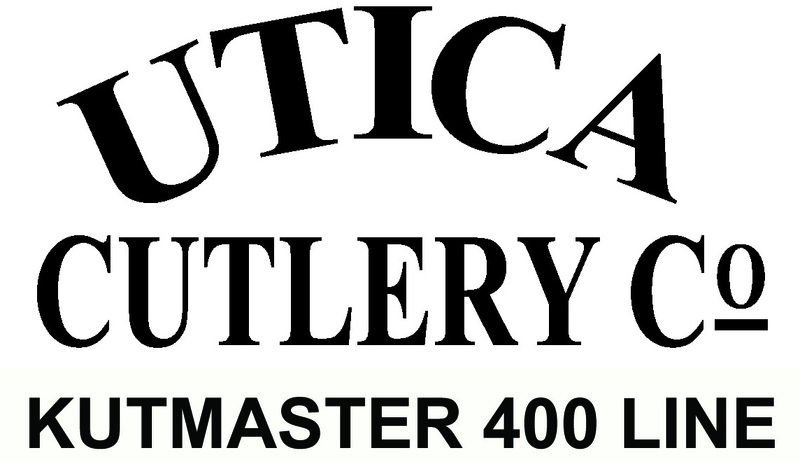 13-1/8″ overall, 8-1/4″ blade.